The mission of SBGN project is to develop high quality, standard graphical languages for representing biological processes and interactions. Each SBGN language is based on the consensus of the broad international SBGN community of biologists, curators and software developers. Over the course of its development many individuals, organizations and companies made invaluable contributions to the SBGN through participating in discussions and meetings, providing feedback on the documentation and worked examples, adopting the standard and spreading the word. Regardless of your experience or involvement level, we value your ideas and feedback. For reporting issues, suggesting enhancements or requesting features please use the list of SBGN-related projects and the corresponding issue trackers. For example for the Process Description Specification: github.com/sbgn/process-descriptions/issues. For the website: github.com/sbgn/sbgn/issues. For general discussions about SBGN please join the sbgn-discuss mailing list and bring up your topic there. For specific questions about this website, workshops or other SBGN resource management topics please send a message to the sbgn-editors mailing list. SBGN meetings and workshops provide the best environment for learning about the process and for getting involved. The SBGN editors work towards distilling discussions and requests into coherent specification documents, addressing comments and questions, correcting errata, and generally managing revisions to the SBGN specifications. The editors do not decide what to put in the specifications — they are the voice and the hand of the community. The SBGN editors are elected by the community for 3-year terms as volunteers. There is no limit on the number of terms one can serve as an editor. A serving editor, however, cannot stand for election thereby forcing a gap year between two successive terms. 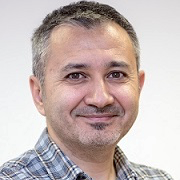 Ugur Dogrusoz, elected for 2016 - 2019, PhD in Computer Science, Professor at Bilkent University, Ankara, Turkey, and Head of i-Vis Research Lab. PI of the Newt Editor project, the development of an open-source online SBGN editor and visualiser. Vasundra Touré, elected for 2018 - 2020, MSc in Bioinformatics, PhD Student at the Norwegian University of Science and Technology, Trondheim, Norway. Lead developer of the STON tool for the conversion of the SBGN Process Description and Activity Flow to the Neo4j Graph Database environment. Andreas Dräger, elected for 2018 - 2020, PhD in Bioinformatics and Systems Biology, Junior Professor at the Tübingen Center for Bioinformatics, Tübingen, Germany. Co-developer of JSBML. Elected SBML editor for 2015 – 2017. 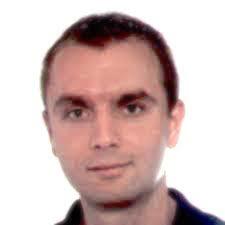 Adrien Rougny, elected for 2018 - 2020, PhD in Computer Science, Postdoctoral Researcher at the National Institute of Advanced Industrial Science and Technology, Tokyo, Japan. Developer of the sbgntikz library for drawing SBGN maps directly in LaTeX. Interested in a direct formalization of SBGN maps into qualitative dynamical models. Leading editor of the upcoming SBGN Process Description specification. Michael Blinov, elected for 2019 - 2021, PhD in Mathematics, Assistant Professor at UConn School of Medicine, Farmington, US; one of the developers of a rule-based approach for modeling of bimolecular interactions; working on SBGN-compliant rule-based visualization in VCell; as an editor, interested in working toward compliance of SBGN with other COMBINE standards, such as various packages of SBML and BioPAX. Acting Editors are selected among active contributors and are appointed by the elected SBGN Editors. Acting Editors work on particular tasks for intensifying the development of the standard. 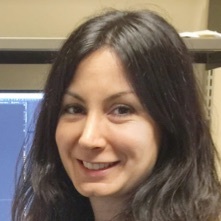 Irina Balaur, PhD in Computational Biology; invited as an Acting Editor in January 2019; a member of the SBGN Team; contributes to the work on the Process Description specification. Hanna Borlinghaus, PhD Student, Research Assistant at the University of Konstanz, Germany; invited as an Acting Editor in January 2019; a member of the SBGN Team; contributes to the work on the Process Description specification. Falk Schreiber, PhD in Computer Science, Professor of Practical Computer Science and Computational Life Sciences in the Department of Computer and Information Science at the University of Konstanz, Germany. PI of the SBGN-ED tool development. Elected SBGN editor for 2008 - 2010 and 2012 - 2014, member of the SBGN Scientific Committee. Alexander Mazein (Dec 2015 - Dec 2018), Augustin Luna (Dec 2014 - Dec 2017), Robin Haw (Dec 2014 - Dec 2017), Tobias Czauderna (Jan 2012 - Dec 2015, Dec 2016 - Dec 2017), Huaiyu Mi (Jan 2009 - Dec 2011, Dec 2013 - Dec 2016), Alice Villéger (Jan 2011 - Dec 2013), Emek Demir (Jan 2010 - Dec 2012), Nicolas Le Novère (Sep 2008 - Dec 2012, Dec 2015 - Dec 2016), Stuart Moodie (Sep 2008 - Dec 2011, Sep 2012 - Dec 2015), Anatoly Sorokin (Sep 2008 - Dec 2009, Jan 2012 - Dec 2014), Falk Schreiber (Sep 2008 - Dec 2010, Jan 2012 - Dec 2014). The duties of the SBGN Scientific Committee are to help securing the financial support for SBGN development, to advocate the use of the language in their community, and to check that the development of SBGN is harmonious and democratic. The scientific committee does not have any decision-making power on the content of SBGN, although its advices presumably weight much in the decisions taken by the community. Igor Goryanin, SBGN PI, joined in 2009. Hiroaki Kitano, SBGN PI, joined in 2009. Falk Schreiber, SBGN PI joined in 2013. Michael Hucka, invited in 2009, PhD in Computer Science and Engineering. Senior Research Fellow at Caltech. He has chaired the SBML effort by community consensus since 2003. Today he works on all aspects of SBML and is involved with BioModels.net activities. Gary Bader, invited in 2010, PhD Biochemistry. Works on biological network analysis and pathway information resources as an Assistant Professor at The Donnelly Centre at the University of Toronto. He has been involved in leading development of protein interaction and pathway databases and standards, including the BioPAX biological pathways exchange language. Paul Thomas, invited in 2011, PhD, Associate Professor of Preventive Medicine and Biology, University of Southern California, Los Angeles. Works on the evolution of gene function and biological systems, PI of the Gene Ontology project. Kurt Kohn was an invited member between 2009 and 2010. Nicolas Le Novère was a PI and invited member between 2009 and 2015. The SBGN Team is created as an initiative of the SBGN editors, following the example of the SBML community. The members of the team develop and maintain the SBGN infrastructure, libraries, and tools. The goal is to make the SBGN effort stronger and ensure its sustainable development. We encourage experts in related standards to participate, so advances in complementary efforts enhance the SBGN development. To contact the team, please use the sbgn-team mailing list. Frank Bergmann, PhD in Mathematics / Computational Systems Biology, Member of Scientific Staff at the University of Heidelberg, Germany; a member of the SBML Team and a contributor to several SBML projects; a developer of LibSBGN. Irina Balaur, PhD in Computational Biology, Researcher at the European Institute for Systems Biology and Medicine, France; lead developer of ySBGN, a bidirectional converter between yEd GraphML and SBGN-ML. Hanna Borlinghaus, PhD Student, Research Assistant at the University of Konstanz, Germany; a member of the SBGN-ED development team. Emek Demir, PhD in Computer Engineering, Assistant Professor at the Oregon Health & Science University, Portland, USA; a member of the Pathway Commons team and is responsible for the BioPAX development and integration; an editor of the BioPAX standard; interested in the SBGN-BioPAX conversion. Vasundra Touré, MSc in Bioinformatics, PhD Student at the Norwegian University of Science and Technology, Trondheim, Norway; lead developer of the STON tool for the conversion of the SBGN Process Description and Activity Flow to the Neo4j Graph Database environment. Adrien Rougny, PhD in Computer Science, Postdoctoral Researcher at the National Institute of Advanced Industrial Science and Technology, Tokyo, Japan; the developer of the sbgntikz library for drawing SBGN maps directly in LaTeX. Alexander Mazein, PhD in Bioinformatics, Researcher at the Luxembourg Centre for Systems Biomedicine, University of Luxembourg, Belvaux, Luxembourg; the coordinator of the SBGN Bricks project. 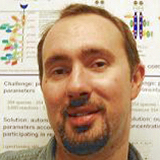 Andreas Dräger, PhD in Bioinformatics and Systems Biology, Junior Professor at the Center for Bioinformatics Tübingen (ZBIT), Tübingen, Germany; a member of the SBML Team; responsible for the further development of the Krayon4SBGN editor. Ugur Dogrusoz, PhD in Computer Science, Professor at Bilkent University, Ankara, Turkey, and Head of i-Vis Research Lab; the PI of the Newt Editor project, the development of an open-source online SBGN editor and visualiser. 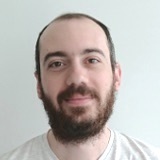 Augustin Luna, PhD in Bioinformatics; Research Fellow at the Dana-Farber Cancer Institute, Harvard Medical School, Boston, US; interested in the SBGN-BioPAX conversion. Falk Schreiber, PhD in Computer Science, Professor of Practical Computer Science and Computational Life Sciences in the Department of Computer and Information Science at the University of Konstanz, Germany; PI of the SBGN-ED tool development. Tobias Czauderna, PhD in Bioinformatics, Research Fellow at the Monash University, Melbourne, Australia; lead developer of the SBGN-ED. Michael Blinov, PhD in Mathematics, Assistant Professor at UConn School of Medicine, Farmington, US; developer of VCell modelling framework working on the integration of BioPAX and SBGN formats in the modelling; interested in the development of SBGN-compliant rule-based visualisation. Funda Durupinar, PhD in Computer Engineering, Senior Research Associate at Oregon Health and Science University, Portland, Oregon; the lead developer of the web-based SBGNViz Collaborative Editor; the developer of the PaxToolsAgent, a converter from SBGN to BioPAX. We are deeply indebted to the many funding agencies and organizations that have supported SBGN over the years. The development of SBGN during 2005–2008 was mainly supported by a grant from the Japanese New Energy and Industrial Technology Development Organization (NEDO). The principal investigators were Hiroaki Kitano, Akira Funahashi, Nicolas Le Novère and Michael Hucka. The Okinawa Institute of Science and Technology (OIST), the British Biotechnology and Biological Sciences Research Council (BBSRC) through a Japan Partnering Award, and a US Partnering Award, the European Media Laboratory (EML Research GmbH), the Beckman Institute BNMC at the California Institute of Technology, and US National Science Foundation (NSF) provided additional support for SBGN workshops. No one — not the principal investigators, nor the SBGN Editors, nor the members of the SBGN Scientific Committee, nor the funding agencies or anyone else — owns SBGN; it is a free and open community effort that extends beyond any single group, and we view ourselves only as organizers and fellow developers.